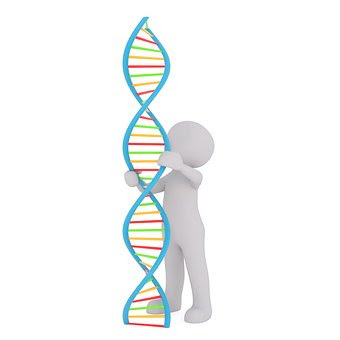 Home / Health / Is It Genetic Makeup Or Learned Behaviors? Today, many psychologists believe that both learned behaviors and inherited traits are factors that affect our health and personality. It’s no secret that some traits such as eye color are determined by the genes our parents pass on to us. Other physical traits are also believed to be influenced by genetics. But, when it comes to behavioral traits, which is the bigger influence? Some people, known as nativists, believe that all of our traits and characteristics are determined by our genetic makeup. They believe that the characteristics that emerge as we grow older are governed by pre-programmed changes in the human body. Nativists believe these characteristics to include language development, attachment during infancy and even cognitive development. However, adoptive siblings still develop similar personalities, which suggests that these shared behaviors were learned through their environments. These shared behaviors and values may in fact wear off in time, though, as studies have shown that adopted siblings are no more similar than strangers by adulthood. Today, most experts believe that our development is influenced by both genetics and learning. There is too much supporting evidence for both sources to support an all-or-nothing view. However, the debate on how much a given trait is affected by our genes or environment continues. Researchers today are focused on ways that genes influence the way we learn from our environment, as well as how our environment can affect hereditary behaviors. In turn, these experiences and our environment shape us into the people we are as adults. The question to ask is not whether a behavior is learned or genetic, but what parts hereditary or environmental factors played in the development of a behavior. Tweet: Are our personalities “hard-wired” into our minds? Or, do we learn our behaviors as we grow up?